Download Aluminum Water Bottle Mockup Free PSD. 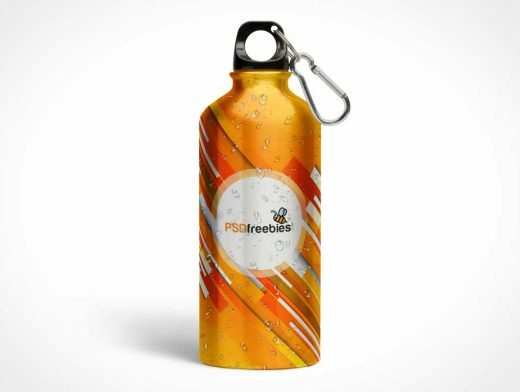 Display your design in a more efficient way on this Aluminum Water Bottle Mockup. This mockup of a Aluminum Water Bottle with carabiner in an eye-level shot is perfect for visualizing your awesome ideas. The Aluminum Water Bottle is available with water drops for make more refreshing the presentation. The Downloaded Free PSD file is organized in named layer and folders to help you Display your Bottle Design. You can change Background color according to Your Design and Showcase your whole brochure design in a modern, simple style.